I’m hosting Pamela Kelt today. She’s a lady with a twinkle in her eye – new to the Crooked Cat’s cradle – and has just completed the fascinating A-Z April challenge for bloggers. She’s taken a lot of trouble with her posts, and is clearly into dedicated research. You can find Pamela’s Blog, and learn more about her HERE. (I, too, did a Latin A-Level. There cant be many of us around). What Pamela reveals about WORDS and PICTURES below is well worth a read. The other week I was in a panic. As I rummaged around my laptop becoming increasingly frantic, I wondered how I could possibly lose 200 photos I took in Český Krumlov. Don’t worry. I’d never heard of it either, until my husband was invited to a meeting there – and I managed to tag along. I’m not too old to be a conference groupie just yet. CZ is a heritage city in the Czech Republic with an impressive castle, an exquisite old town filled with fabulous Baroque buildings, cobbled streets and elegant squares. I photographed everything in sight .., and the idea for a book had formed before I got home. Premise: politics and mayhem with a pleasant but murderous anti-hero – set against the background of 17th-century Bohemia. 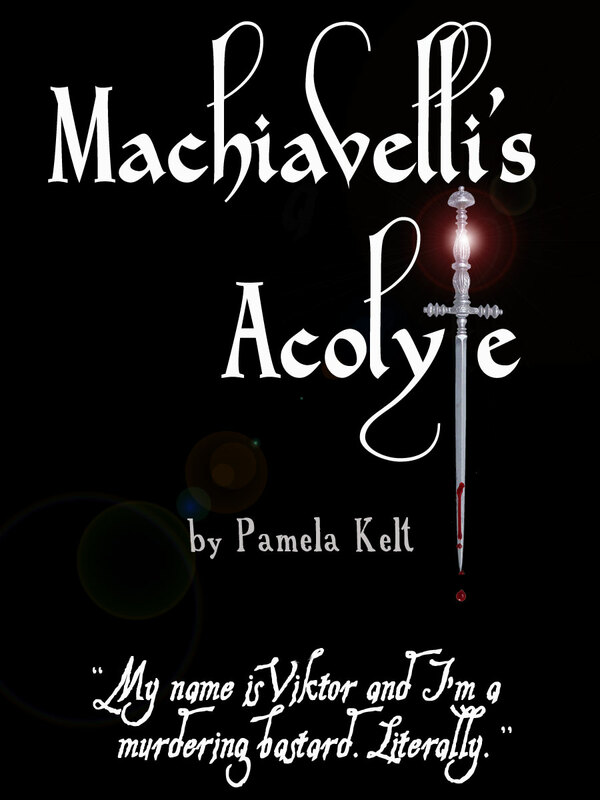 I called it Machiavelli’s Acolyte and I’m about halfway through. I’m no expert in European history, so it was time to bone up. Bit of research here. Bit there. Then help! Where were the wretched photos? As I trawled desperately through my files and folders, old disks and discarded memory sticks, I realised how much I rely on visual stimuli to kickstart the whole manuscript process. I began to analyse the process. It seemed I often started with images to remind me of what I needed to research and help me build up a bank of references, mainly online, before I launched into a detailed plan. At first, I tended to rely on holiday snaps, but then I purchased my own digital camera. Just a basic, lightweight piece of kit that fits in my back pocket. I tend to take it everywhere, even just walking the dogs. And boy, do I use it. As my files increased, things got chaotic so I trained myself to keep better records (renaming files, keeping dates, making duplicates etc) so I could access all these bits and bobs in my ever-increasing visual archive. The first book was a bit minimalist when it came to pictures. 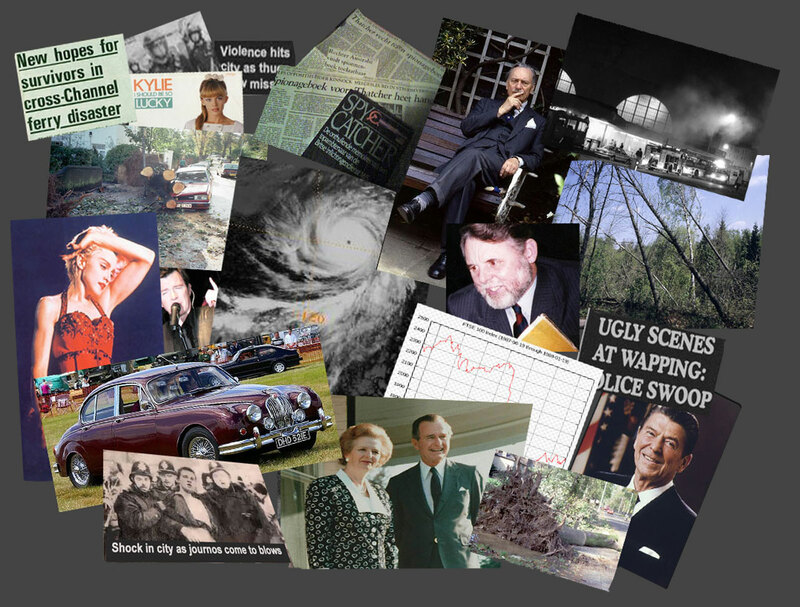 I just had a document called (rather imaginatively) ‘images’ and I bunged in anything that caught my fancy. I still do this when I’m starting out, but now I have separate folder and sub-folders for every title, as well as labelled batches of folders among my internet ‘bookmarks’. I also try to make the time to rename these with key words for easy retrieval. Back to the CZ panic. As I tore through all the virtual stuff, it dawned on me that I’d been collecting actual images for years on different themes: postcards from art galleries, those free maps you get when travelling, fliers, stamps … anything that triggered the old grey cells. These I tuck in actual folders, all in arm’s reach of my desk, so I could refer to them as required. Now, I have a quite a collection. I often prop up a key image on my shelves by the desk to prompt the right mood. But images aren’t just useful for inspiration. Having prints or photographs in sight helps to keep things authentic and helps to pinpoint telltale details. The mind plays tricks when one is in the thick of plot-snorkelling. A useful adjunct to all of this are online photographic archives. For Tomorrow’s Anecdote, set in the 1980s, I fell upon an online history of computing site with much relief. Finding pagefuls of accurate images of genuine Thatcher era stuff was becoming increasingly hard. Have you tried searching Wikimedia by date? It’s a nightmare. There’s more. In the heady new world of epublishing, people like authors to have blogs and websites – and I think blogs are more fun with pictures. It’s invaluable to have a batch of copyright-free images that you can pepper all over the place. They tell a story, they’re personal and they show you mean business. I feel that each book deserves its own bloggy website thing, so ditto with the peppering. And when it comes to PR, you also need photos of yourself. I rope in my daughter, usually, as I’m useless at self-portraits and camera timers. And I mean useless. However, it’s a cringing must, even for folk like me with a deep case of camera phobia. I’m the original invisible woman with an uncanny knack for sloping out of the way when people start snapping. But needs must. I’m now staggering into the brave new world of audio-visual material – more images! More, more, more. It’s astonishing how many you need for a book trailer. It eats pictures. When I used to write features for provincial papers, I always had to ‘write to a title’. Now I ‘write to in image’. As soon as I’ve finished the mega chapter-by-chapter plan, I do a mock-up of the cover. It will never be used, and that’s fine, but I have to go through the process to ‘picture the book’. For me, designing a cover concentrates the mind much more than writing endless blurbs and synopses. 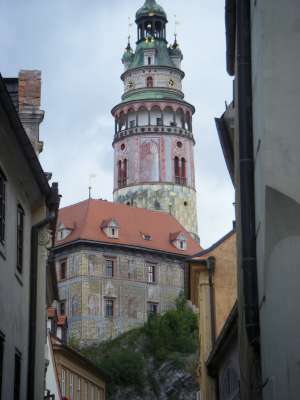 By the way, I found the Český Krumlov photos. They were on an abandoned laptop. Oh, the relief. PS What key images inspire you? And where do you find them? 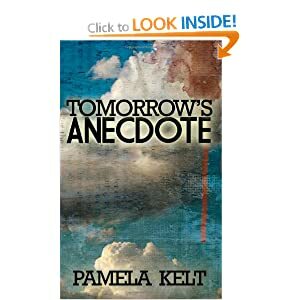 Pamela’s book, Tomorrow’s Anecdote, released on 26th April, looks to be a great read. This entry was posted in Authors and tagged Art, Bohemia, Czech Republic, History, illustration, Photography, Prague, Český Krumlov. Bookmark the permalink.